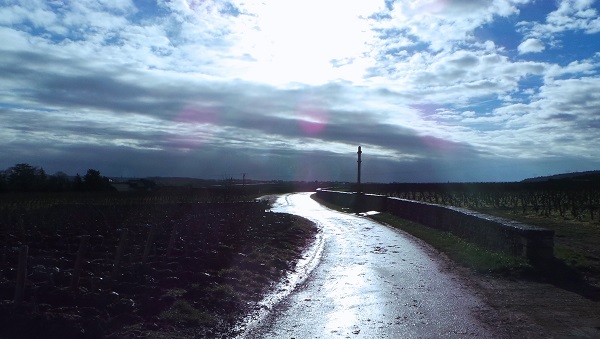 Mother Nature threw the book at Burgundy’s vignerons in 2012, with just about every kind of weather imaginable. There is little question that overall the 2012 red Burgundies have turned out far better than initially expected. Painfully low yields resulted in rich, luscious wines with considerable appeal. The finest wines also capture plenty of site-specificity and nuance. Quality is uneven across the board, especially in the Côte de Beaune, but the best 2012s are undeniably thrilling. For more on the 2012s, readers might enjoy this short video I shot just after finishing my tastings. The 2012 growing season in Burgundy was one of the most unusual I can remember seeing in any region. The year started with a brutal frost in February. Cold, wet conditions in the late spring and early summer drew out the flowering for almost a month and resulted in significant incidences of coulure (shatter) and millerandage. (shot berries). Sadly, some of the most affected vineyards were the oldest, as many of those parcels began to flower just as conditions were at their most challenging. But it was far from over. On the evening of June 30 I was walking back to my hotel in Beaune after dinner. The skies looked ominous. A very nice gentleman asked if I wanted to take cover, but I was sure I could make it back safely. Then the hail came. Luckily I was able to retreat. Standing in the city center, it was hard to know how severe the hail was. Frankly, it didn’t look that bad to me. I had seen much more damage the year before in Italy. But the worst was still to come. An hour or so later I was back in my hotel. Then the second wave of hail struck, something I had never witnessed before – two hailstorms on the same day. Poor weather continued, seemingly with no end. Rainfall during the summer months was much higher than normal. Mildew and oidium proved to be formidable opponents through most of the summer. Just getting into the vineyards to spray was a challenge, as wet soils made it impossible to work with tractors. As more than one grower told me, there simply was no margin for error in treating the vines. Mother Nature severely punished even the smallest mistakes in timing. Hail revisited some parts of Burgundy, Prémeaux in particular, again on July 4th. Later in July temperatures rose quickly, resulting in, of all things, sunburn in some particularly well-exposed vineyards. The Côte de Beaune had additional incidences of hail in early August. From there, though, conditions improved markedly for the rest of August and September, something that seems to happen in Burgundy with some frequency. Everything that could happen did happen, except for botrytis (rot), possibly the greatest threat to quality in Burgundy. The harvest started the third week of September. Most growers reported picking very clean fruit that required virtually no sorting. One theory regarding the quality of the fruit is that the loosely formed clusters allowed air and sunlight to circulate freely, which promoted an overall environment of health within the bunches themselves. Mother Nature had one last surprise in store for producers, though. When the tanks were drained, growers found very little juice. In reaction to the poor weather and the ensuing treatments that were necessary to keep the vines healthy, it turns out the grapes had developed very thick skins. So yields are low, painfully low in fact. It is generally accepted that Pinot Noir needs to be farmed with low yields to achieve quality. But when yields are too low, winemakers are presented with a number of technical challenges. One of these is finding tanks that are small enough to maintain an ideal relationship of skin to juice. If tanks are too big, the cap covers a large surface area and can result in wines that taste over-extracted and excessively tannic. Growers had to scramble to buy new, small tanks to handle the severely reduced crop loads. Even with the tiny yields, sugars were not particularly high. Many, if not most, growers chaptalized a small amount to extend the fermentations. As mentioned above, yields are down, way down. Across the board, production is anywhere from -30% to as much as -80%. The most severe yields were registered in the Côte de Beaune and Volnay in particular, where sites were just decimated by the weather. In a cruel twist of irony, the best wines are spectacular, while the global demand for Burgundy has never been higher. It is impossible to spend time in Burgundy and not notice the severe financial stress that has begun to infect the area. Most of Burgundy’s top domaines remain essentially agrarian, family-run businesses. For every glamorous estate that adorns auction catalogues around the world there are a dozen small domaines just struggling to make ends meet. Including 2013, Burgundy’s producers are now looking at four straight vintages with average crop reductions in the order of 30-40%. Many domaines keep a small library to smooth cash flows in hard times, but those bottles are long gone. I fear some of these wineries will simply be unable to continue if conditions persist. The situation is that severe, and it threatens to spread to the larger houses as well, especially those with outstanding debt that can’t be serviced. 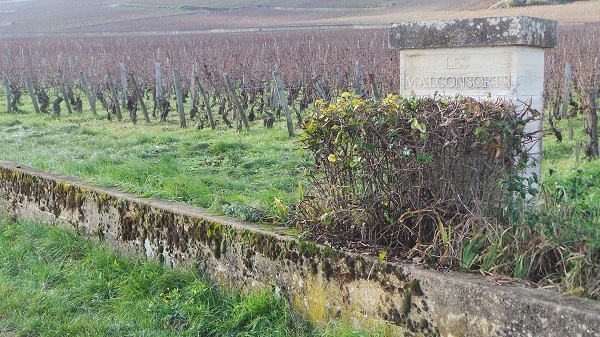 Yields have been more severe in the Côte de Beaune than the Côte de Nuits, and those wines generally are less coveted, which means the ability to raise prices is limited. In today’s media-centric, hype-prone world, there is always a lot of buzz around the new vintage, especially in Burgundy, where simply finding the wines has become increasingly difficult. The finest 2012s have plenty of site specificity, but not as much as truly classic vintages such as 2010. On the other hand, I tasted a number of 2012s that will drink well relatively early. In some ways, 2012 brings together elements of both 2009 and 2010, which is not a bad combination. The 2012s have more mid-palate pliancy than the 2010s, generally lower acidities and higher pHs, all of which give them soft, racy contours that bear some resemblance to the 2009s, but with lower sugars. Today, the appeal of 2012s, especially in the Côte de Nuits, is that the wines are mostly quite faithful to their origins, but they won’t require as long to mature as the 2010s. In the Côte de Beaune, where the tannins are often imposing, the wines may need more time to fully come together, and some may never be in balance. 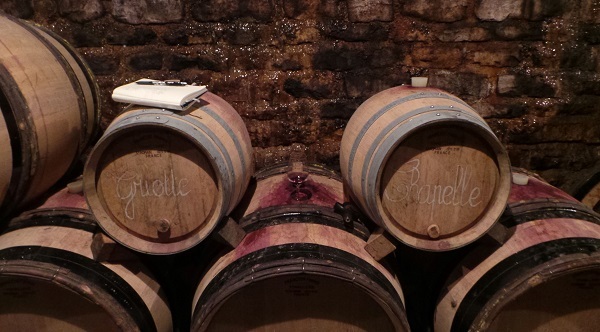 In the Côte de Nuits, the 2012s are much more transparent to site than they are in the Côte de Beaune. The wines are generally deep, fleshy and powerful. This is very much a vintage of black fruit rather than red fruit. In a few villages, Marsannay in particular, the 2012s are often on the edge of being too concentrated and big for their medium-bodied frames. Things are a bit trickier and more variable in the Côte de Beaune, where production is down as much as 80% in some cases. The very best growers made wines that maintain a stylistic line with the past, but in other cases, readers will find 2012s that are big, massively tannic, dark and imposing. Navigating the Côte de Beaune reds is going to require much more selection and care than in the Côte de Nuits. Given the above, it’s hard to see 2012 as a truly great vintage. There are just too many extremes in quality. Still, the best wines are unquestionably thrilling and well worth seeking out. If there is a clear stand out, it is Gevrey-Chambertin, where I encountered the greatest number of truly phenomenal wines. At the end of the day, the best advice I can give is to focus on producer, producer, producer. As stated above, global interest in Burgundy has never been more fervent. Drouhin and Jadot have both announced plans to sell rare library wines at auction, reflecting the intense demand for older wines, especially those with impeccable provenance. The sad reality is that ex-cellar prices for the 2012s are going up by 15-40% as growers struggle to make ends meet. US dollar purchasers will have to add another 5-7% over 2011 prices because of our weaker currency. All of these increases happen before a single bottle of 2012 makes it into the market, where the forces of supply and demand are likely to exert considerable upward pressure on pricing. My advice is to stock up on any remaining 2008s, 2009s and 2010s that are still in the market, while focusing selectively on the 2012s. At least a handful of producers have decided to bottle their flagship wine(s) in magnum only, which is going to make finding the wines even more of a challenge. In the face of tiny yields and drastically cut allocations, producers are deciding that, for example, a customer who used to get 6 bottles of a wine will now get one magnum. For the trade, that is perhaps not too dramatic, but the end purchaser is going to find very limited supply of some 2012s. On the other hand, the best 2012s are truly fabulous wines built for cellaring, so bottling only magnums does make sense from a purely qualitative standpoint. All of the wines in this article were tasted in November and December 2013. 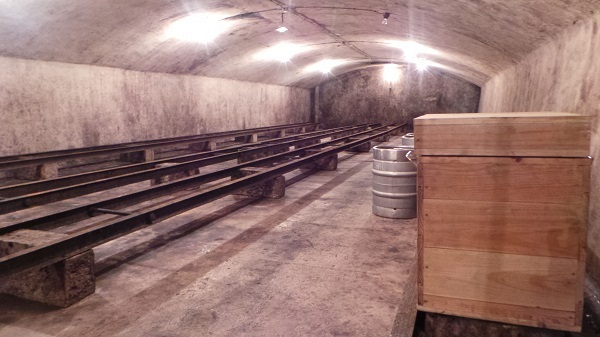 As noted in the producer commentaries and reviews, in a number of cellars the malolactic fermentations were quite slow, which can result in wines that taste raw and/or unfinished. Part II will follow next week, after which I will turn my attention to the 2011s. A cold fall day in Vosne-Romanée. Only this small, winding road separates Romanée-St.-Vivant (on the left) from Richebourg and Romanée-Conti (on the right).